Running a business means you wear many different hats. That said one thing you may not be as up on as you should be is the welfare of your employees. Whether you have many people under you or only a few, it is important that they are healthy and happy. If too many of them are not, it can have a negative impact on your business. So, how healthy are your employees? When you show an interest in the health of your workers, they tend to work harder for you. Healthcare benefits – Depending on the size of your business, you may or may not offer benefits. If you do, are they good benefits? Some individuals with jobs still go without affordable healthcare. As a result, they can be more susceptible to illness, disease and other medical issues. If you are offering a healthcare plan, make sure you know how good it is. Those plans should not only cover basic things like a yearly physical, but also dental and even eye care. When your workers have healthcare, they are likely to take better care of themselves. In doing so, they will be in a better position to contribute on a daily basis. Exercise on the job – While your employees are there to work for you, some exercise and fun during the day is fine. With that in mind, do you allow your employees to get some exercise time in on their breaks or at lunchtime? Exercise is not only good from a physical standpoint, but it can be from the emotional side of things too. 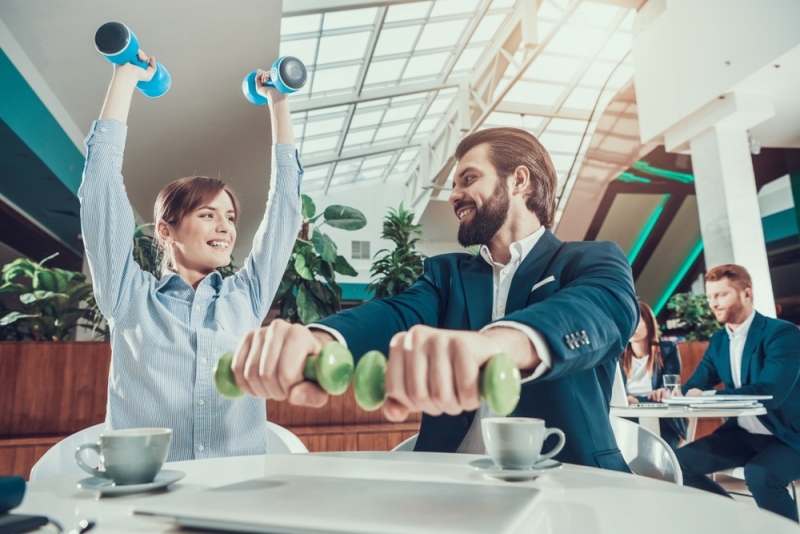 When employees have a chance to get some walking in, go to the gym and more, they will be in better shape to contribute. If you have not up to now offered a gym membership to workers, you may want to consider doing so moving forward. You can also encourage employees to go for walks on their breaks. Getting away from their desks or their normal routines is both important and healthy. Workplace conditions – What are the conditions like in your workplace? The goal should be to have employees in comfortable working conditions. This allows them the best chance to achieve their daily goals for you. If they are straining in their chairs, desks or other areas of the workplace to get the job done, it can mean less work. Over time, bad posture and other issues creep into the picture. When they do, you have an unhealthy and unhappy worker. If he or she is dealing with chronic pain that is a result of the job, encourage them to get help for this problem. Along with seeing their doctor, they can also go online to see what will relieve such chronic pain. If chronic pain dictates one’s life, it can mean less production on the job among other issues. Herbal remedies are a good thing to look into. If one did not know, kratom extract works to relieve the pain for many individuals. Learning about options for treating pain due to bad posture, lifting too much and more is key for you and your team. In doing your part to keep your employees healthy, are you succeeding at the job?